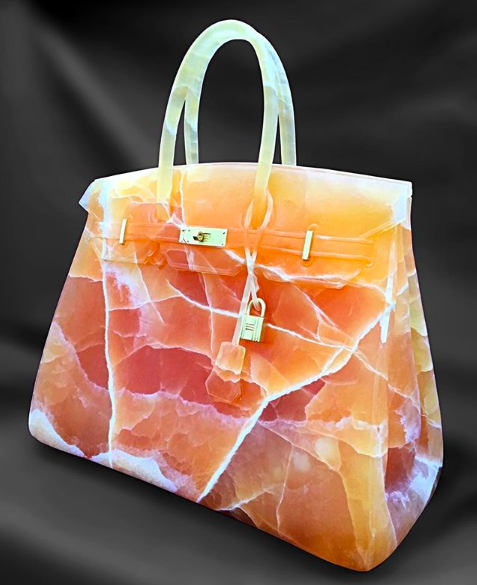 Barbara Segal is a contemporary artist working in a variety of stone. Barbara is a stone carver and contemporary artist producing stunning work in a variety of marble and stones. 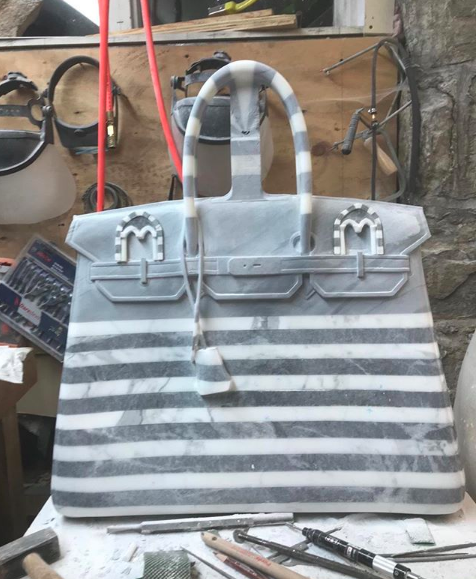 She talks about the various places she trained in Europe to learn her craft and about drawing on her personal history to create stone sculptures of clothing and handbags. The sculptures with various colours are made from stacked stone or a lamination process. Her work draws on 3 main areas - her fascination with architecture of renaissance churches, her personal history and nostalgia of her childhood, and icons of twentieth century consumerism. The detailed mosaic floors of European churches had a huge influence on the 19 year old Barbara; they reminded her of the complex patterns of her mothers wardrobe and Pucci shirts. She is still hugely influenced by these designs and uses them in her work. Her current work includes rubies and other precious stones to embellish the belts on the Birkin bag sculptures. 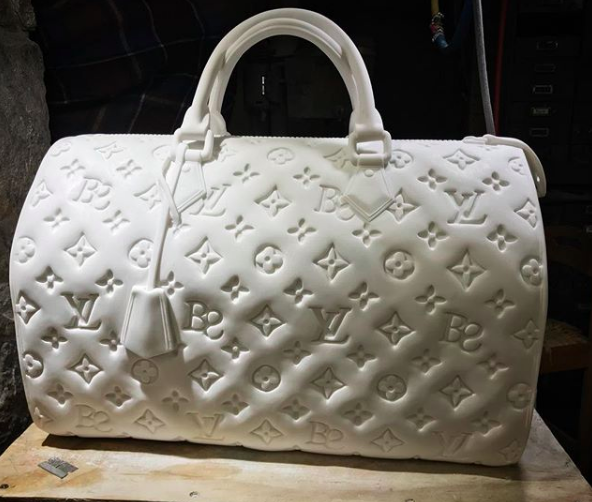 Her training across sculpture, carving and mould making have given her the skillset to handle different materials. Barbara has studio assistants that she trains, and produces around 7 pieces a year. She also teaches at the School of Visual Arts in New York.